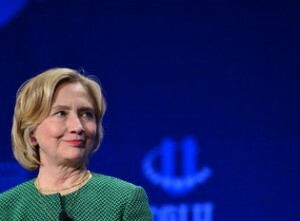 Hillary Rodham Clinton’s determination to reconnect with voters in localized, informative settings is commendable, but is in danger of being overshadowed by questions about the interplay of politics and wealthy foreign donors who support the Clinton Foundation. Nothing illegal has been alleged about the foundation, the global philanthropic initiative founded by former President Bill Clinton. But no one knows better than Mrs. Clinton that this is the tooth-and-claw political season where accusations are going to fly for the next 19 months. And no one should know better than the former senator and first lady that they will fester if straightforward answers are not offered to the public. The increasing scrutiny of the foundation has raised several points that need to be addressed by Mrs. Clinton and the former president. These relate most importantly to the flow of multimillions in donations from foreigners and others to the foundation, how Mrs. Clinton dealt with potential conflicts as secretary of state and how she intends to guard against such conflicts should she win the White House. The only plausible answer is full and complete disclosure of all sources of money going to the foundation. And the foundation needs to reinstate the ban on donations from foreign governments for the rest of her campaign — the same prohibition that was in place when she was in the Obama administration.